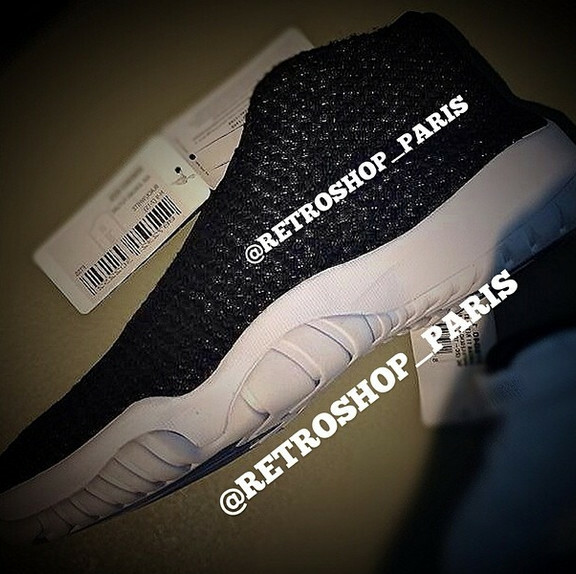 We're finally hit with our first look at the upcoming white sole Jordan Future set to hit later this year. This new take on the much talked about hybrid of sorts by the Jordan Brand rocks a simple black-based woven upper with 3M reflective accents. Setting these apart from other looks and past AJ XI's, this particular pair pairs a white midsole with a white outsole down below. Stay tuned to Sole Collector for further details on the Black/White Sole Jordan Future.